It was a Sunday afternoon in May, I was back in Norway preparing for the Gatebil season opener and I had just picked up a call from an unknown number. 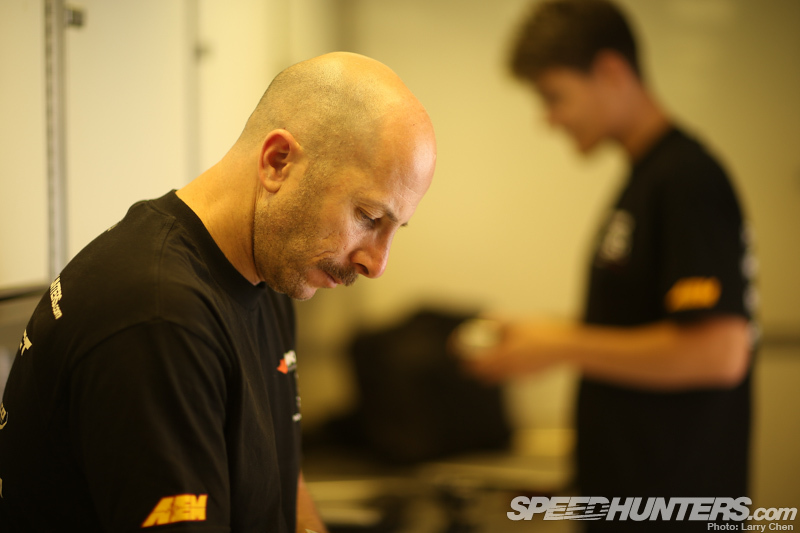 It was my Formula Drift team boss, Stephan Papadakis. He likes to be on the cutting edge of technology and always calls me from weird Internet phone services, so I never know it’s him before I pick up the call. I wonder if it’s intentional. 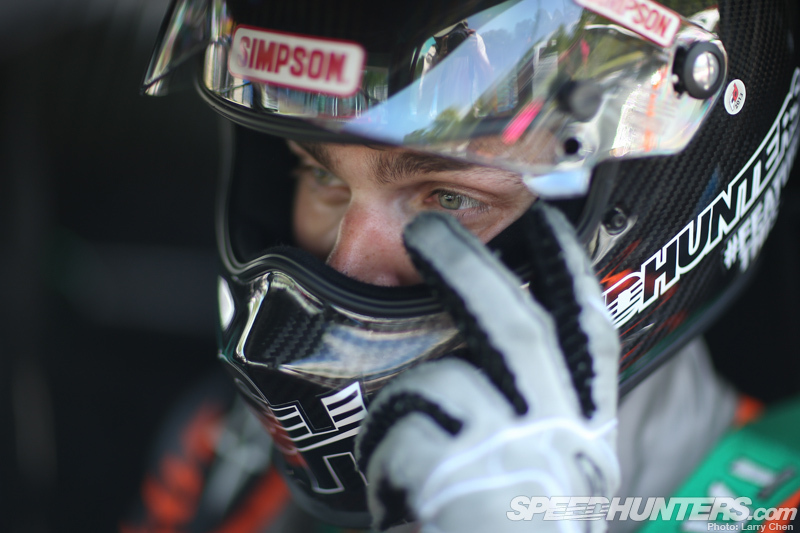 “Hey, I’m calling you because I’ve been thinking about this human experiment of ours; being a top Formula Drift team…,” Stephan continued. We went on for a while, but what Steph said right there made me think. 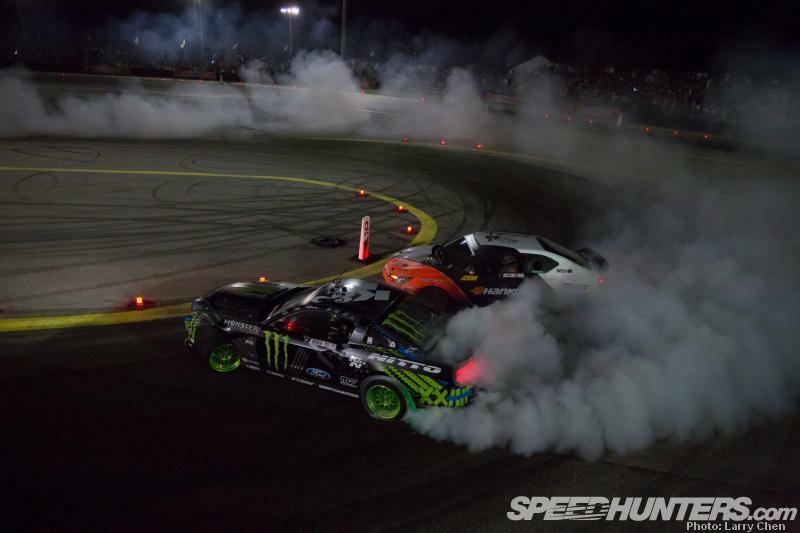 In a time where drifting is booming across the world, the on-track action is wilder than ever with Formula Drift cars running each other over and fans getting increasingly vocal and involved. 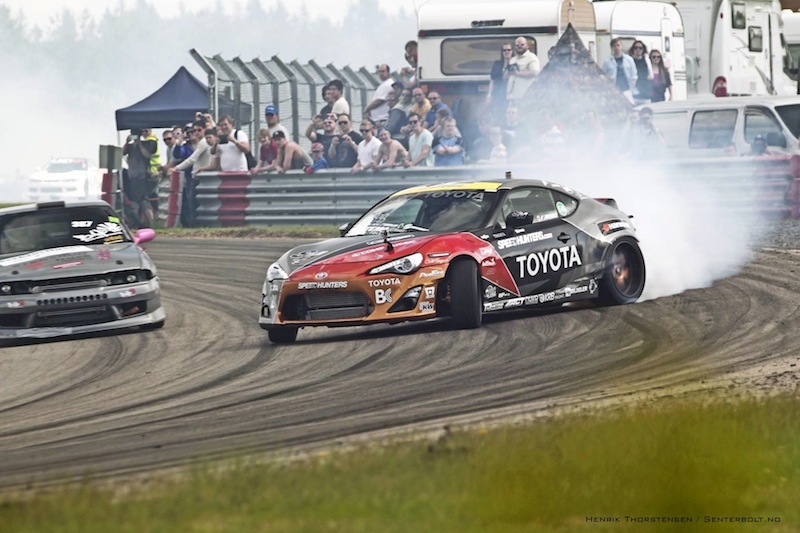 Drifting is still young and the sport is growing rapidly. But where is it headed? 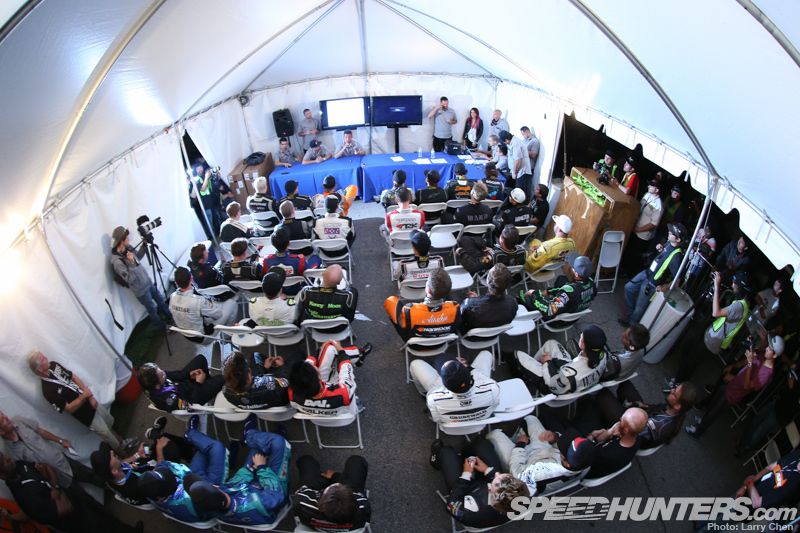 The judging format is still being developed – in numerous, different ways relative to the different drifting series around the world. The cars are getting wilder and wilder, and drifting has the most diverse car field of any motorsport. 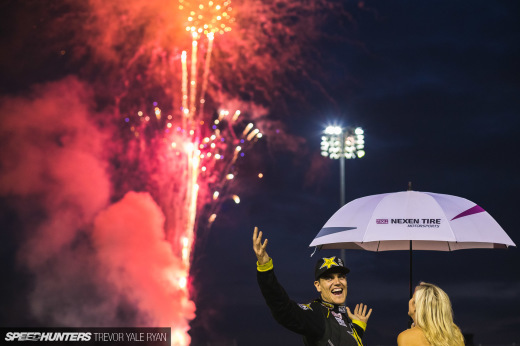 This past weekend there wasn’t a single V8 car on the Formula Drift podium. It truly seems like any car or motor combination can work: six cylinder turbos, rotaries, V8s and four bangers. The point here is that there isn’t a set recipe for success, neither on nor off track. And I think THAT’s what makes drifting so cool. Not knowing exactly what you’re a part of, but bringing what you have and just diving in and taking part in shaping the future of drifting feels so much more exciting than following a pre-determined path. Take open wheel racing, for instance, with Formula One being the pinnacle. In order to make it into the F1 ranks, you need to a) start in go-karts at the age of five (or ideally earlier), and b) spend a fortune, or ten, over and over in various increasingly expensive series before you MIGHT be one of the 0.2% that makes it into the world’s top league. In drifting however, you can be the street smart kid with very limited financial backing that makes it to the top level. You can put together a team of friends, build a car to the best of your ability, bring it to the track and do well for pocket change compared to other forms of racing. How far can we take it? 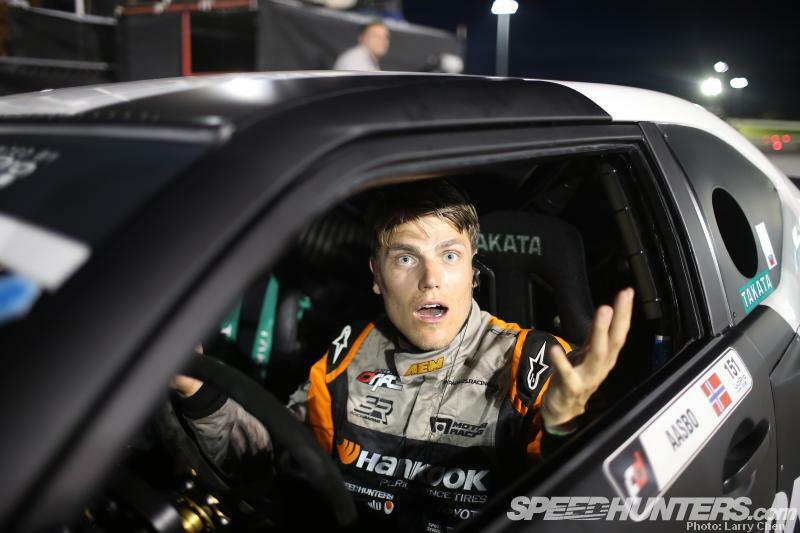 What is it really like to win a Formula Drift event? Is it actually possible to make a living and a career out of sliding cars around, in ways they were never meant to be driven? During its 10 years, there has never been an accepted ‘racing path’ of how to get into Formula Drift. Drivers and teams have shown up in mysterious ways, spawning from the unknown, making it into drifting’s big league with their very own combination of talent, drive, hard work, backing and luck. All these different characters have been battling it out in front of the flashing lights of a constantly evolving competition format. It’s Captain America versus the Rookie, and the Ninja versus the Hammer. And the results do vary, like this past weekend, where underdog Michael Essa took a much deserved win! In drifting, anything can, and will happen, and nothing’s set in stone. 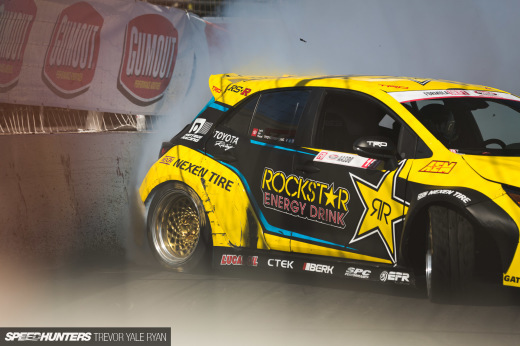 That’s why being a Formula Drift competitor feels like being part of a human experiment. One example is our qualifying in Atlanta, where I felt that we were in full control. We had very solid runs in all of practice and just carried it over into qualifying, where we took the #1 spot. Then, for our battles, rain came in and turned the track to teflon. We moved on by the luck of the draw. Then, at Gatebil Våler, I got to practice my passing-in-drift, along with all the other crazy hoons out there. And then, at this last weekend’s Formula Drift Round 3 in Palm Beach, my nickname went from the “Norwegian Hammer” to the “Norwegian Piñata” after my fellow Norwegian friend Kenny and I made some contact. This is what makes drifting so exciting, though. It never fails to surprise! This upcoming Sunday, Mad Mike and I will be hosting the very first Speedhunters Workshop at Snetterton Circuit in the UK. The workshop is open to 12 drifters, and it’ll be a fun day with lots to learn. Read more about the workshop here. Combined, Mad Mike and I have a good amount of drift experience and (perhaps more importantly) behind the scenes knowledge that we’d like to share with other up-and-coming drifters to help them reach their next level. And on our end, we’d like to learn from all of the guys attending as well! 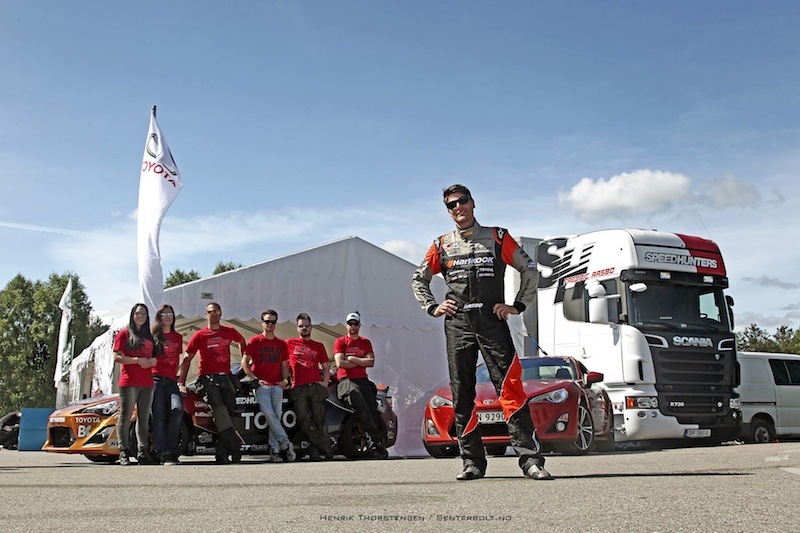 After three wild Formula Drift events and an equally crazy Gatebil season opener, I feel ready to take on the Speedhunters Euro tour with our Toyota Speedhunters 86-X and the circus family. Thanks to Larry Chen, Egil Håskjold and Henrik Thorstensen for their excellent photography.